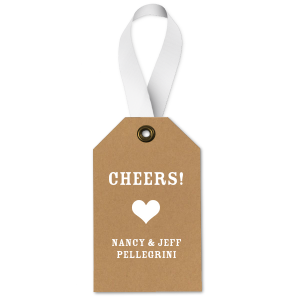 Dress up wine bottles with a personalized Wine Gift Tag. 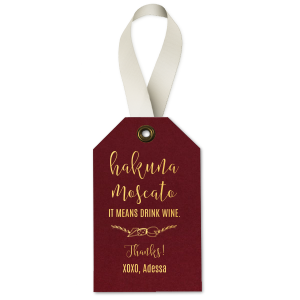 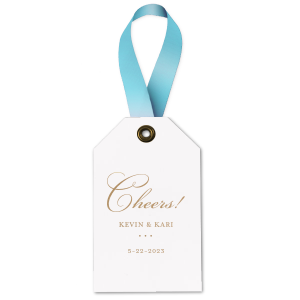 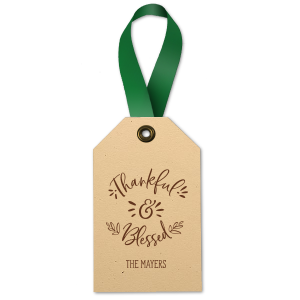 Ribbon included, these gift tags will add a special touch to wine bottles given as party favors, housewarming gifts, in wedding welcome bags or even used as creative table numbers. 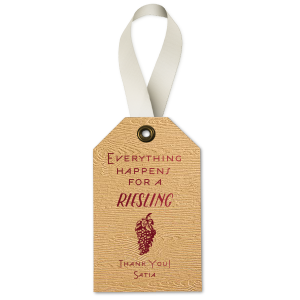 There’s nothing like a fine wine in the summertime. 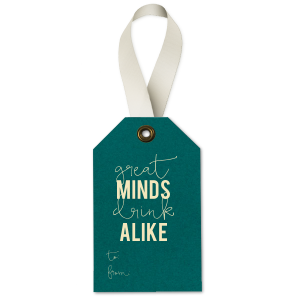 Or getting a wine bottle as a gift! Personalize your gift with a For Your Party custom wine bottle gift tag. 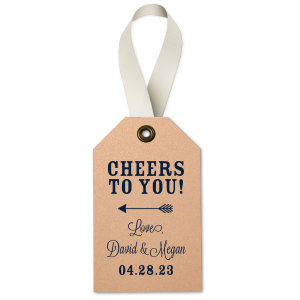 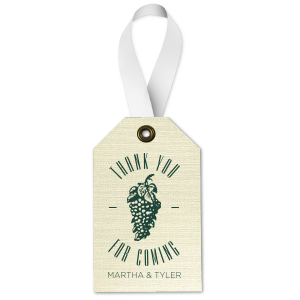 Whether you are giving a bottle of wine as a wedding party favor or a creative housewarming present, our customizer allows you to personalize your wine bottle gift tag so it's unique to your event. Choose from our fun pre-made personalized wine gift tag designs with wine quotes like “On Cloud Wine,” “Great Minds Drink Alike,” or “Wine A Little, Laugh A Lot” to make your recipients chuckle. 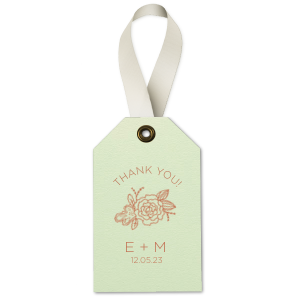 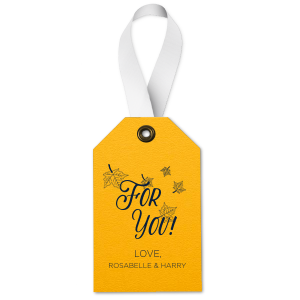 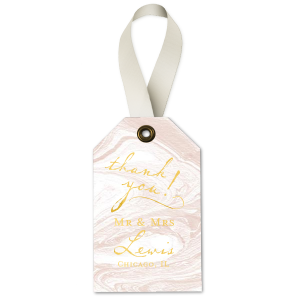 You can also create your own custom gift tags and add monogrammed initials or a special personal message. 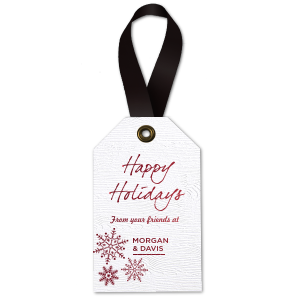 With one of our wine gift tags, your wine bottle has never looked so good! Choose from a variety of paper, ribbon and foil colors to create the perfect combination to match any party theme. Fun and flirty? 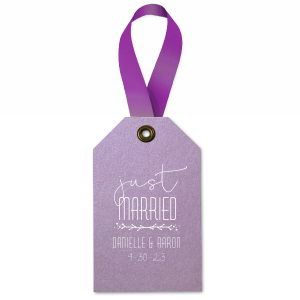 Sleek and modern? 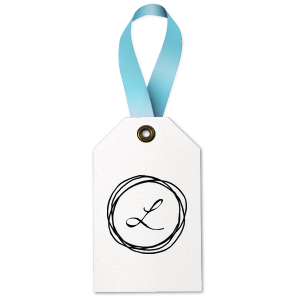 We have designs for it all. 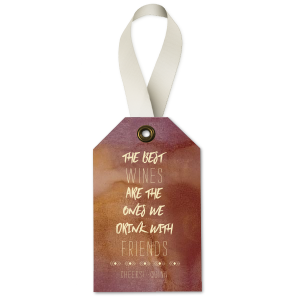 You have the best gift to give (wine! ), so create the best custom wine gift tag to go with!